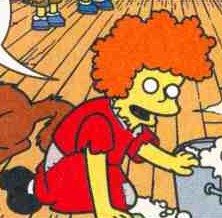 Angie is an orphan who lives at the Springfield Orphanage. When Bart was living at the Springfield Orphanage he meet Angie. Modified on December 2, 2018, at 04:15.